This is exhibit is so good I’ve gone twice! Once at the opening then again with my kids and other families. I’d highly recommend that you all go support this celebration of black artists as well. 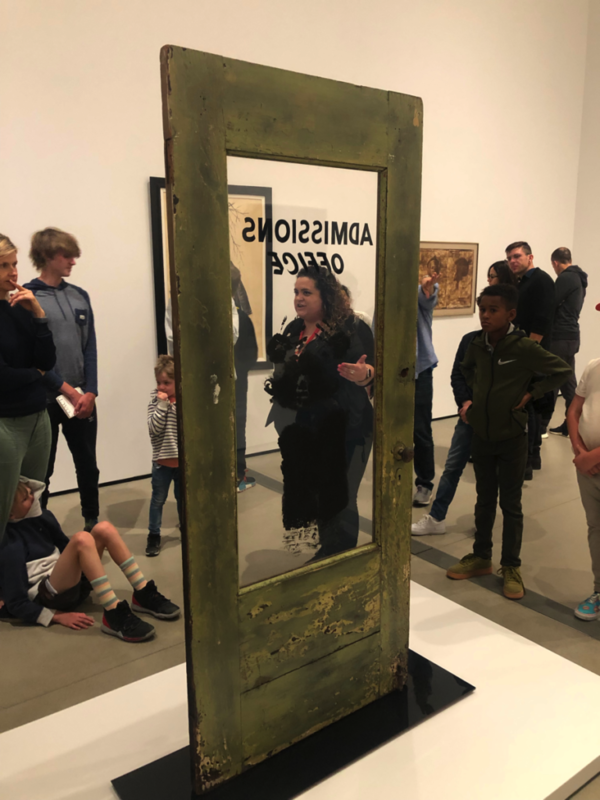 It’s on display at The Broad museum in downtown LA at 221 S Grand Ave, Los Angeles, CA 90012 until September 1st 2019! 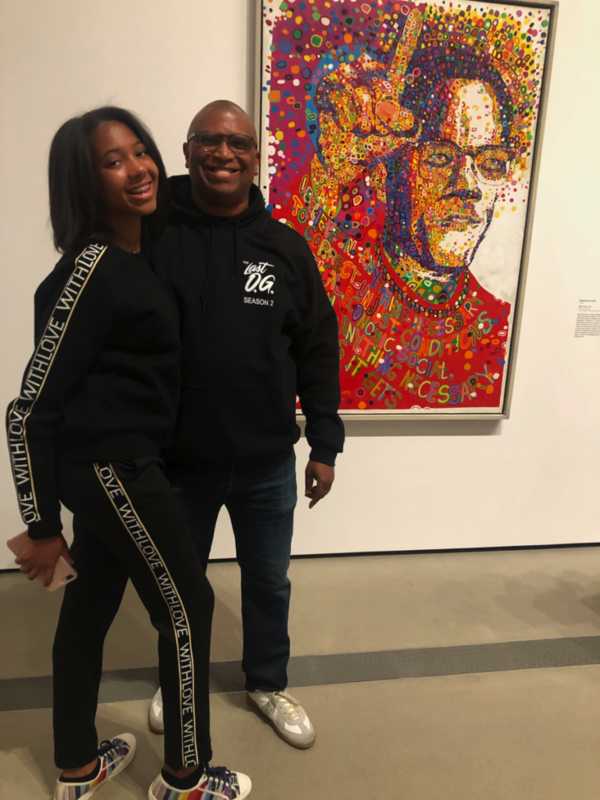 My daughter and I agree this is the artwork we most want in our house. Art + Larceny! I never saw this piece by David Hammons before, but I love it. 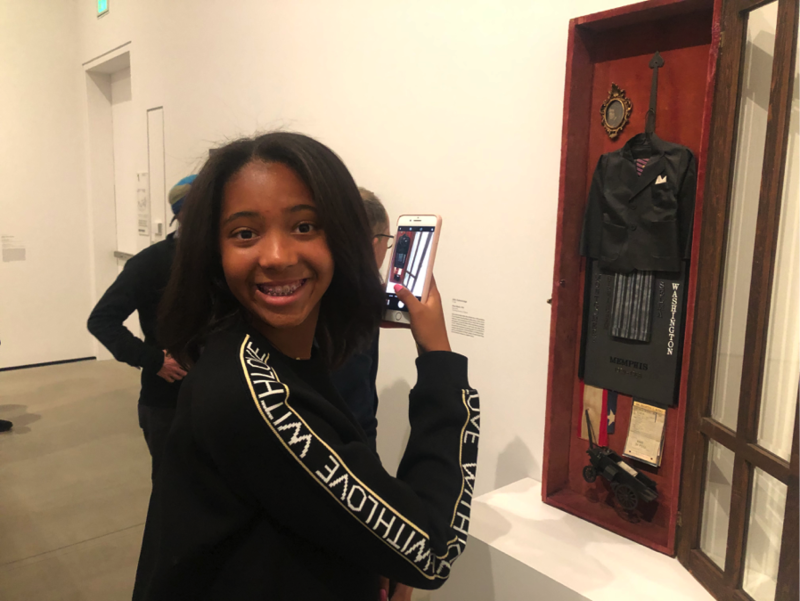 My daughter takes a picture of a brilliant piece about the death of MLK. 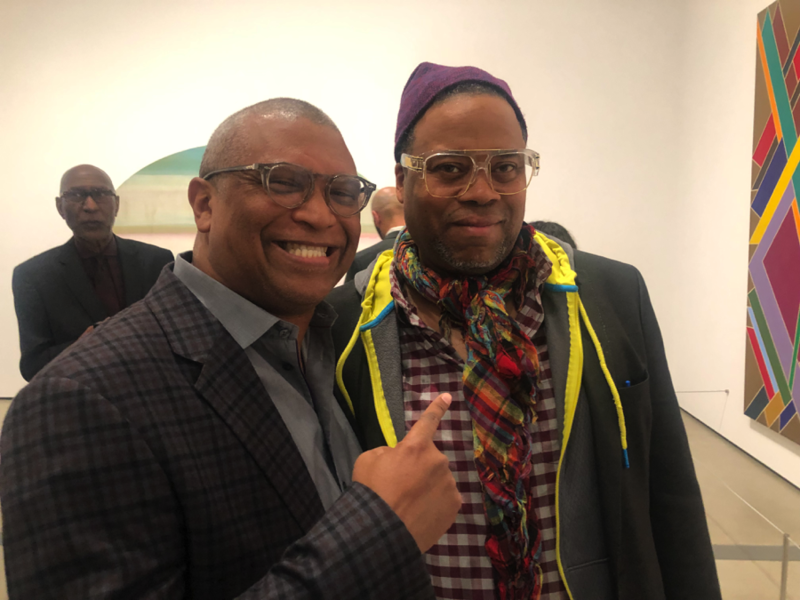 At the opening I ran into one of my heroes, Greg Tate. Back in my New York days, we spent endless hours discussing every possible permutation of the black aesthetic. His Sun Ra meets P.Funk writing style is a huge influence on me. Plus he’s a great guy. 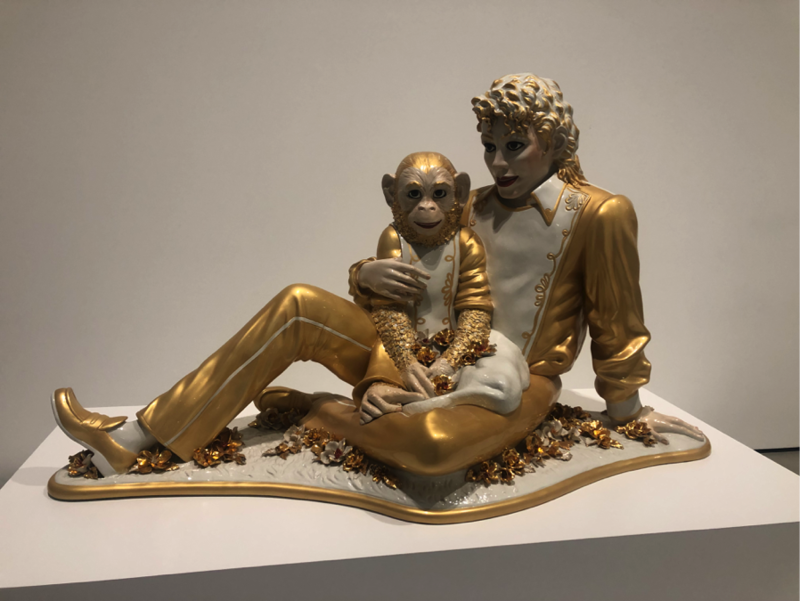 Michael Jackson and Bubbles by Jeff Koons, part of the permanent collection. 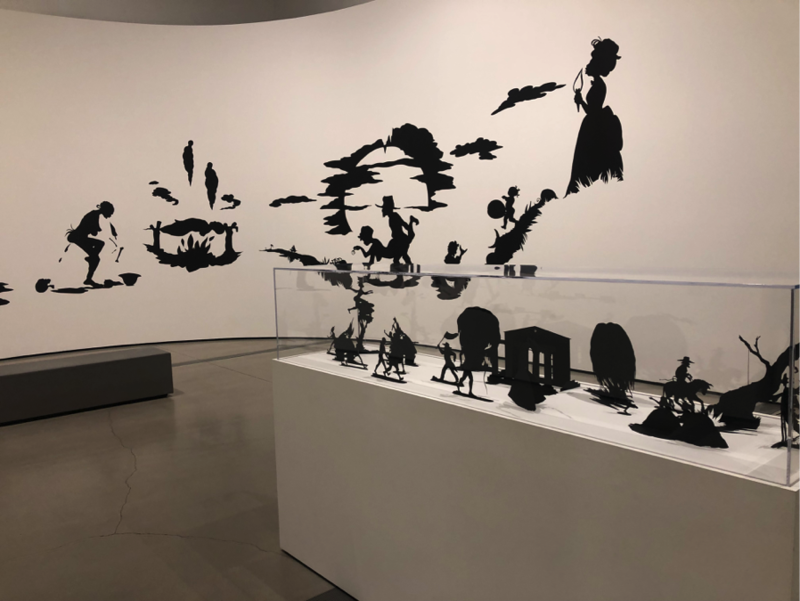 Kara Walker, part of their permanent collection. Hanging out after the opening with Sheila Marmon, Amy DuBois Barnett, and Shaun Robinson. Milestone Media is now online! If you want to keep up with all things Milestone, follow us! The Milestone Media website is here! Our Twitter page is here! Our YouTube channel is here! Follow us, we’ll follow you, keep you posted on the latest news, and we want to hear from you! This site has three sections. If you want information about me or my work, use the menu at the top to find my biography, clips and photos from my films and TV shows, images from my comics, or lists of things that interest me. I post regularly on the Forum page and I invite you to do the same. REGGIESWORLD is a retail website books, DVDs, T-Shirts and other black comic book related stuff.